Every year there are local, state and national genealogy seminars. Some are a few hours or over a weekend and others span the days before or after a weekend. Depending on where you live, your budget and level of expertise it can be hard to decide where to spend your money. Most of us have a limited amount of money to spend on our genealogy reserach let alone educating ourselves. Everyone can use a refresher course on mining census records and then there is that brickwall that we are trying to break down. So, how do we decide or justify a trip across the state or across the United States? Maybe the answer is right in your own home. In today's world and economy it is becoming harder and harder for people to travel for business or pleasure. This has made conference calls, podcasts and training over the Internet essential to everyday life. As hobbyists we are benefitting from all the tools that businesses have had to introduce to make their lives and bottom line more profitable. One of the greatest byproducts is the Webinar. What is a webinar? It is a live lecture or class that you attend via your computer. Sometimes the webinar is saved as a video presentation that can be watched on-demand. Today you can decide if you want to attend a conference and incur all the related costs or do you want to spend your money more wisely? How about tailoring an 'At Home' conference to your research needs or technology advancement? Sound impossible? Keep reading. 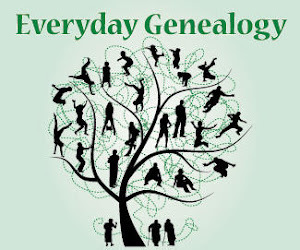 Genealogy webinars are offered from a variety of organizations on a wide variety of subjects. Most are free at the time of the event and in some cases a small membership fee makes all past webinars available on demand. The great thing is if you find the subject or speaker boring or not what you expected you can simply quit watching. If you think you would miss the interaction with other genealogists, put together a seminar at your house! Select the topics that you and a friend(s) want to learn more about, set a date and a genealogy seminar in your living room! 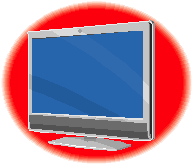 Displaying the webinar or video on a large screen televison will make it even more like a seminar. Plus if it is a recording you can stop and start it at any time so you can take notes or discuss it with your friends. Once you look over the available webinars it is time to come up with your budget. Depending on which webinars you are interested in you could pay nothing or as little as $35. If the time of the webinars is not convenient you might want to consider becoming a member of the site/society. I think you will find that it is still much less expensive than gas, hotel, meals and registration fees. 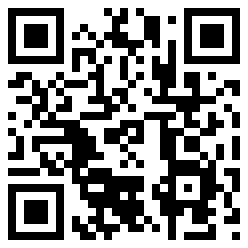 And, you can tailor it to your educational needs and interests. I am not saying not to support your local or state genealogical society seminars. I am trying to offer an alternative. Seminars allow us to interact with fellow genealogists, share stories and feel like our hobby isn't unusual or morbid. There are others who are also 'looking for dead people'! However, for those of us that work it is not always easy to get time off or if we do not work we have other family responsibilities. Webinars allow us to schedule our genealogy around our life. Another advantage is being able to watch a webinar on a research topic that does not pertain to your research but you find interesting. An example would be "Online Resources for Colonial America" by Josh Taylor in November for the Southern California Genealogical Society. While I have do not have ancestors in that period of time I would attend to learn more it just in case. Plus I love listening to Josh, he is a great speaker / teacher. I hope this helps your continuing genealogical education. Please let me know if you find these sites helpful or if you find other webinars you would like to share. Thank you so much for this! I just started my genealogy research, and this is such a treasure trove of information. I hope this helps! I started my research over 10 years ago so I can really appreciate how Webinars can help!